Bio-Helix from Taiwan has been focusing on providing the best bio-reagents for life science researchers all over the world since 2007. Vivantis from Malaysia is a research-based biotechnology company incorporated in 2002. We specialize in the production of Restriction Enzymes, DNA extraction kits, DNA amplification reagents and other related products for molecular biology research. Vivanties is is ISO 9001:2008 certified. 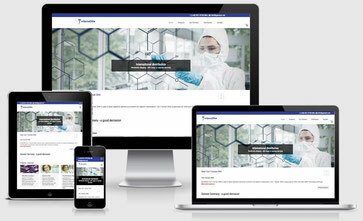 Panreac was founded in 1941 with the aim to provide a highly diversified range of laboratory reagents and fine chemicals. Benchmark from USA supplies Hardware and smart tools for Molecular Biology Lab. Peqlab from Germany is now a part of VWR.